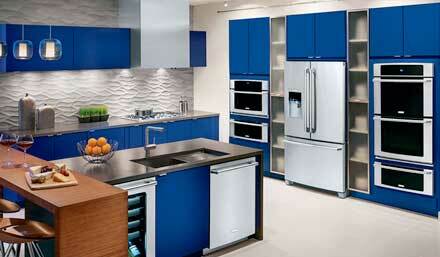 We are Electrolux appliance repair specialists with more than 30 years of experience. Our team is factory trained and certified to do all levels of Electrolux brand appliance repair, service, and maintenance. We will be able to quickly diagnose your Electrolux appliance and find the best way to fix it. Our skilled technicians will order right parts for you and professionally install them in no time. You will get high-quality repairs at very reasonable prices. But most importantly your dishwasher dryer or washer will work as good as new! Electrolux makes high-quality kitchen appliances. They are both technologically advanced, reliable and very attractive. We are experts on all models of Electrolux, and our team knows exactly how to make your appliance work again. We can get you any Electrolux part you need and install it correctly. With a professional maintenance, your Electrolux can serve you for years and years without any braking. Besides our great knowledge of everything concerning Electrolux appliance repair we also offer you great customers service. Our technicians are always polite, punctual and ready to help you with anything. They strive to keep our customers happy. We offer you FREE service with every call and FREE, accurate estimate before any job is started. Ask us about our warranty on parts and labor. Also, our prices are always solid and fair. Other companies don’t know much about European brands, but we are European and luxury brands experts. 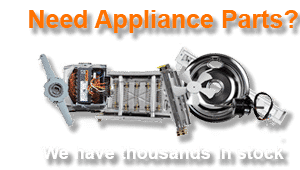 Our company Oregon Appliance Repair has more than 30 years of experience. We have several locations throughout Oregon and can be at your house same day to start working on your appliance. Our company is family owned, and family managed. We work hard to keep our team well educated about latest appliance technology. So, you can be sure that people who work on your appliances are top notch experts. Our Electrolux appliance repair team can fix any model or appliance brand. For example we often work on Asko, Bertazonni, Bosch, Dacor, DCS, Electrolux, Fisher&Paykel, Frigidaire, GE, Jenn-Air, KitchenAid, La Cornue, LG, Liebherr, Marvel, Miele, Perlick, Samsung, Siemens, Sub-Zero, Thermador, Traulsen, True, Viking, Whirlpool, Wolf and many more. For Electrolux appliance repair call us at 541-948-8835 or fill out our short online contact form. We will be happy to set you up for a service appointment at your convenience. Once the time for appointment comes, our skilled technician will make sure to bring all the needed supplies, tools and parts for your particular Electrolux appliance repair. He will come right on time and will immediately start working on your appliance. Usually, this involves taking your appliance apart, cleaning it and doing various test to see what exactly is going on. Our tech will look into every nook and cranny and will not miss a single detail when doing an inspection. The right diagnoses are really important. Once the diagnoses are made, he will inform you about his finding and make an action plan for you. Sometimes the problem is minor and can be fixed right away, but sometimes parts need to be replaced. Even the most durable appliances need new parts once in a while. We will be able to order you right Electrolux parts from the manufacturer and give you the best price on them. Some parts we even carry in our Electrolux appliance repair warehouse, but sometimes it might take up to a week to order more rear parts. In that case, we will schedule another appointment with you for installation. After the job is complete, our technician will test your appliance to make sure it’s fully functional. He will plug it in and run it. Only after it’s fully safe and tested will he present it to you. Our tech will also, clean up after himself and will remove and recycle the old parts. You will be very happy with results. Your Electrolux appliance will function as good as new. Besides Electrolux appliance repair we also offer a comprehensive Electrolux appliance maintenance program. With this program, you can always be sure that your appliance is in the best shape. Our technician will come on annual or semiannual bases and will do a full inspection of your appliances, clean it if necessary and do all the upkeep. He will change filters etc. He will be able to catch any problem before it becomes major. This is often the best way to go with a more expensive appliance such as Electrolux. Our maintenance program will save you time and money. We are your best choice in Electrolux appliance repair because we have the skills and the experience necessary. Our technicians are factory trained and certified. They know exactly what to do make your Electrolux appliances work again. We will work around your schedule to make repairs convenient for you. Our techs will quickly find what is going on with your broken appliances and figure out the best way to fix it. Customer satisfaction is our number one priority. To schedule an appointment for Electrolux appliance repair, please call us at 541-948-8835 or fill out our short contact form. We will be happy to set up a convenient appointment for you. Our friendly and highly skilled technicians will soon be on their way to repair your appliances. 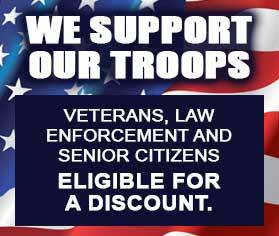 We serve Bend, Eugene, Portland, Central Oregon, Crook County, Deschutes County, and Jefferson County. 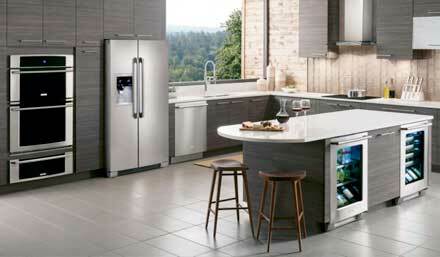 We are Electrolux appliance repair specialists with more than 30 years of experience. Our team is factory trained and certified to do all levels of DCS brand appliance repair, service, and maintenance.